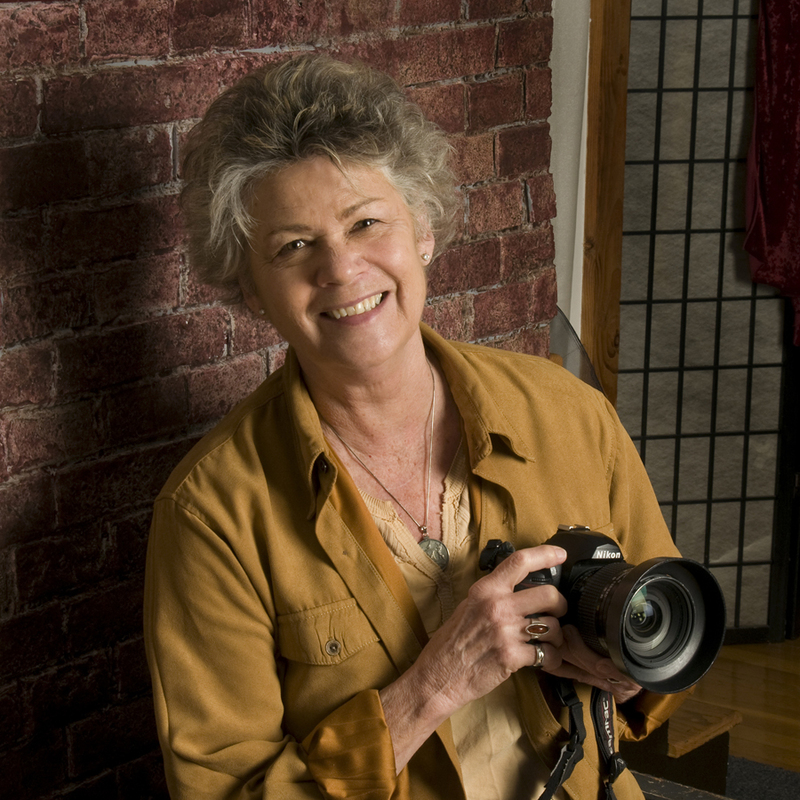 SUSAN WILSON is a highly respected photographer, writer, multi-media artist, and public historian who has exhibited her artwork in dozens of shows, and gained national recognition for her images of performing and literary artists. Her client list over the years has included such well-known names as Rebecca Parris, Bill Harley, the Lydian String Quartet, Keith Lockhart, Sanford Sylvan, D’Anna Fortunato, Pete Seeger, Holly Near, Ronnie Gilbert, Taj Mahal, Alison Krauss, Patty Larkin, Adrienne Rich, Anita Diamant, and Stephen McCauley. For four decades, her photos have regularly appeared in newspapers, magazines, books, CD covers, posters, postcards, websites, and other media around the world. An alumna of the Museum School of the Museum of Fine Arts, Boston, and both undergraduate and graduate studies in history at Tufts University, she was both on the faculty of the New England School of Photography (NESOP) and served as director of NESOP's acclaimed Crosscurrents seminar series. Susan has long held a special affection for world history and cultures — and for historic Boston in particular. She is currently the official House Historian of the Omni Parker House and a Visiting Scholar at the Brandeis University Women’s Studies Research Center. The recipient of a B.A. (Phi Beta Kappa), M.A., and A.B.D. (All But Dissertation) in history from Tufts University, Susan taught history at both the secondary school and college levels before moving into a career in journalism and photojournalism. Her work regularly appeared in the Boston Globe between 1978 and 1996. Since 1994 she has been writing and photographing books on Boston history, which include Heaven, By Hotel Standards: The History of the Omni Parker House, Boston Sites and Insights, The Literary Trail of Greater Boston, Garden of Memories: A Guide to Historic Forest Hills, and A Brief History of Beacon Press. She was a contributing author for Boston and the American Revolution and Symphony Hall: The First 100 Years. For two decades, Susan has combined her love for history, world culture, imagery, and storytelling as Artistic Director for the multimedia company, Melodic Vision. Among the evocative shows she has performed and toured are Noche de Muertos (chronicling Mexico's most popular holiday, the Day of the Dead) and Sacred Grounds, Sacred Sounds (featuring the music and musicians of Père Lachaise Cemetery in Paris). Melodic Vision’s award-winning video, Iluminacion, was featured at the Provincetown International Film Festival. Susan has long been associated with and consulted for Boston's historic walking tours, including the Boston Women’s Herritage Trail, Boston HarborWalk, the Freedom Trail, the Black Heritage Trail, the National Park Service, and Boston By Foot. She has researched, written, and delivered walking tours or PowerPoint lectures for a variety of individuals and organizations, including the Omni Parker House, ArtWeek Boston, The Boston Literary Cultural District, Tufts University, Brandeis University, the Old South Meeting House, Forest Hills Educational Trust, Lahey Health, Primary Source, and RoadScholar. A longtime member of the Massachusetts Historical Society, she headed a team of researchers, visual artists, and designers to develop The Maritime Museum at Battery Wharf and accompanying Harbor Walk Signage in Boston's North End.